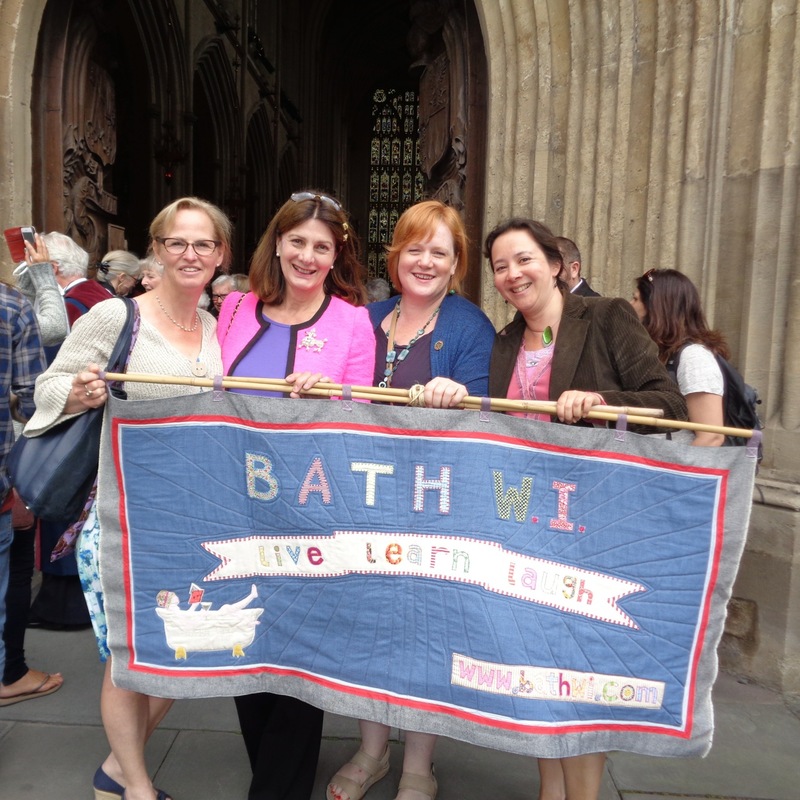 To mark 100 years of the WI in Britain and 40 years of the Avon Federation of WIs, on Tuesday afternoon Bath Abbey overflowed with lovely WI ladies from all over the region. The service started with a banner procession (the oldest at the front, with the youngest – Bath WI – at the rear). For our WI it was a real team effort – Karen did an amazing job making a frame with which to carry our banner, which Kitty collected and delivered and Sue carried in the procession. When we arrived quite a number of the stewards looked rather familiar – Karen, Sheila, Chris, Andrea and Victoria. In the congregation too there were plenty of Bath WI smiling faces. It was a lovely service with plenty of singing, some great reminiscences of WI lives in past decades and when we were asked to turn to watch the West Doors open on to the abbey square and the Roman Baths flooded with tourists, we raised the roof with Jerusalem. It was a great opportunity to chat to members of other WIs – who all had the same idea of afternoon tea in the Pump Room; a sea of splendid hats and not a table for us. Four of us sat outside opposite the pump room with a pot of tea enjoying the view of Bath Abbey and lots of happy WI ladies in the sunshine. Thank you Avon Fed for organising the service and Bath Abbey for holding it!